The Beautiful Game -- we all love it, but it can sometimes leave us scratching our heads in disbelief or open-mouthed in wonderment. Football Extreme is a collection of the craziest, funniest and most extreme things ever to have happened in the world of football. 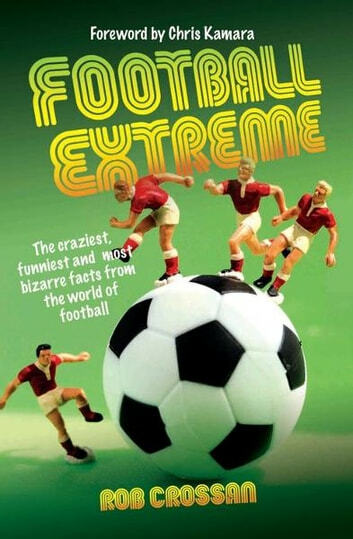 From the FA Cup to the World Cup, Football Extreme is packed with bizarre facts and figures, amazing stories and incredible footballing feats. Discover how a bald 57-year-old ended up playing for Doncaster Rovers, how a remote island manages to sustain a league and cup competition with the grand total of two teams, and how Blyth Spartans went on the greatest Cup run of any non-league side -- only to be thwarted by a collapsing corner flag. Amaze your friends with tales of 31-0 wins, tiny pitches and woeful attendance figures. And learn all about the weird and wonderful events that make football the greatest game on Earth.